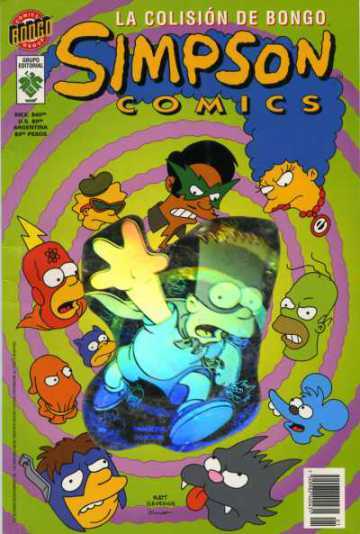 Warning: Display title "<i>The Simpsons Comics in Mexico</i>" overrides earlier display title "<i>The Simpsons</i>&#160;Comics in Mexico". This is a list of The Simpsons Comics in Mexico. Simpsons Comics (Kamite) 18 August 4, 2013 Ongoing The main series based on the US Simpsons Comics. Modified on December 18, 2015, at 19:36.